So you can focus on health at home. 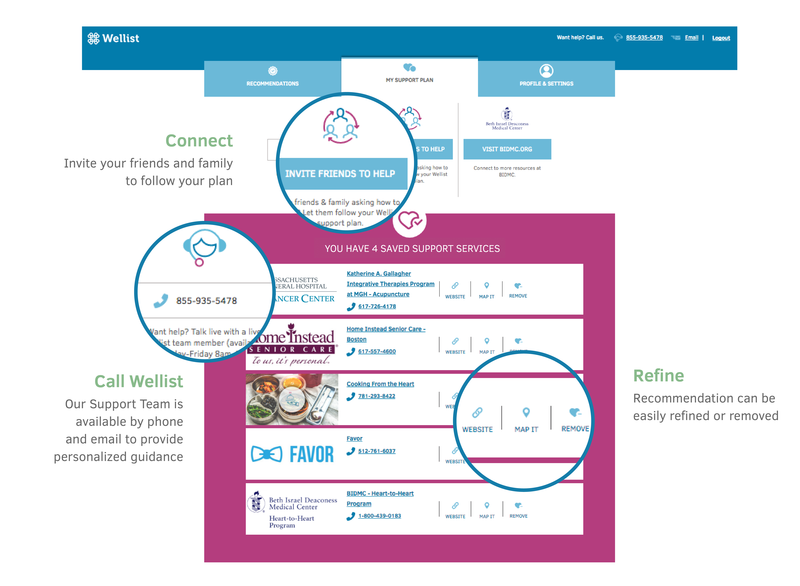 Beth Israel Deaconess Medical Center has teamed up with Wellist to give you personalized recommendations for support services. Wellist can help find grocery delivery near your home, arrange for transportation to the hospital and create a support plan for friends and family. Wellist has created a directory of top patient resources. While many of the services we recommend are free or subsidized, some require an out of pocket fee. We'll sort through thousands of services to connect you with the support that's right for you. Create a support plan unique to you.